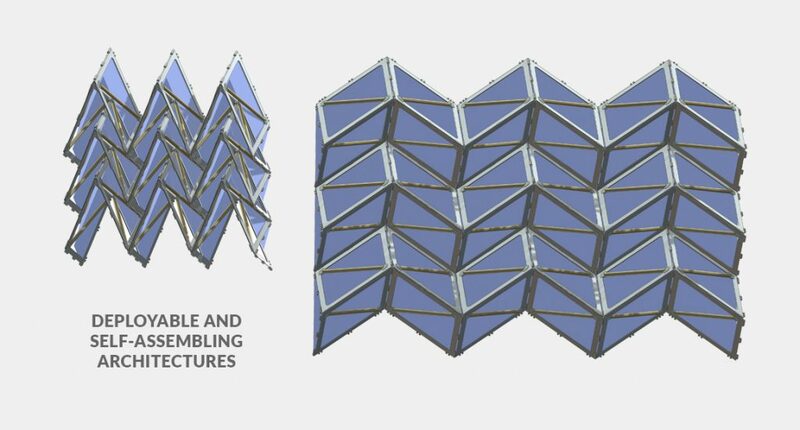 Tessellated folding patterns apply both to the design of deployable structures and to the economical manufacture of new high performance core materials. The algorithms may be used to investigate folded sheet linkage designs for the efficient packing and deployment of antenna, solar panels, and reflectors, as well as systems for deploying softgoods materials in inflatables and decelerators. We also offer consulting services to assist you through the most challenging engineering problems. Folding geometries also offer new solutions for composite cores. 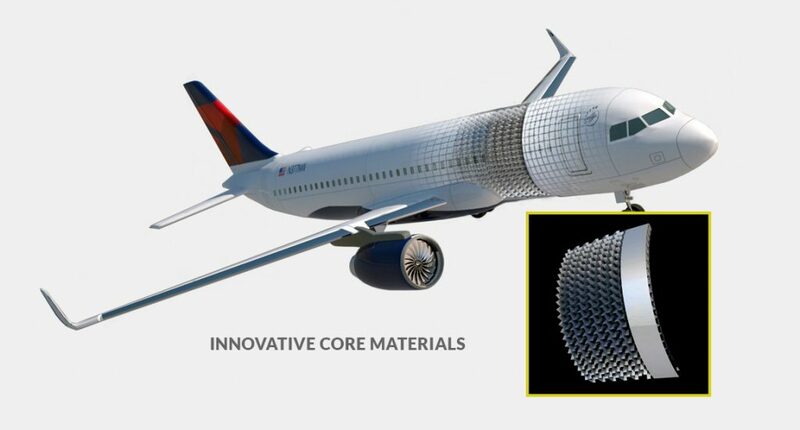 The algorithms design surfaces with 360 degrees cone angle at all vertices and is perfect tooling for composite fabrics with no cutting or darting. Other methods using the economy of the novel doubly periodic folding process produce a diverse range of core materials with tailored mechanical characteristics. These high performance light-weight materials are designed with intuitive software commands directly in your SolidWorks module for integrated testing in your FEA software.